It seems like there are millions of ways to raise money for your nonprofit. 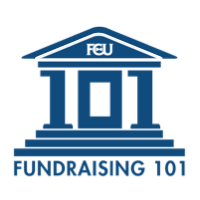 You can employ traditional fundraising techniques, request government grants, and even look to corporate foundations for donations. But what if you could double the amount of money you’ve already received just by asking for it? That’s the principle behind matching gift programs. Of course, nothing is as simple as it sounds, and there are right and wrong ways to go about asking for matching gift donations. To help you determine the good, the bad, and the ugly, here are the top ten tips for matching gift success! Make sure that your entire team is aware of what you want to accomplish in the coming months when it comes to donations and matching gifts. Get their input on what those goals should be. Gaining insights and different perspectives will help you focus on what you want to achieve. Find out all you can about matching gifts. Look into the biggest matching gift companies and research their submission processes. Knowing this information will be useful when you tell donors about matching gifts. Check Double the Donation’s list of the top matching gift companies to get started. Appoint a matching gift coordinator to effectively get the word out about matching gifts. This will ensure that you have the greatest impact when it comes to donations and matching gifts. The matching gift coordinator doesn’t have to (and shouldn’t!) work alone, however. Assemble a comprehensive team of marketing gurus, IT specialists, and volunteer coordinators to help the matching gift coordinator. If you don’t have the resources to put together a matching gifts team, make sure that everyone in your organization has at least a baseline knowledge of matching gifts. If everyone is aware of matching gift programs, you’ll be able to help donors make their donations go further, even if you don’t have a specialized team of matching gift experts. If you want to target potentially large donors for contributions and you want to find out if their employers will match their donations, perform a prospect screening. Prospect screening is an invaluable tool when it comes to maximizing donations and matching gifts. Where donors and their spouses work. Knowing where a donor works or whether or not they serve on a board at a corporation can be the key to getting a big donation matched. Additionally, some companies will match spousal donations. Having access to this information can help you double the donations you receive. Get more general information about prospect research here. If you receive a contribution from a donor, whether it’s $10 or $10,000, it is imperative to thank them. If you receive matching gift donations from their employer, thank them too. Fostering a relationship with donors and the companies they work for can help ensure that you receive donations and matching gifts in the future. Thank you email: Send donors and their employers a genuine thank you email letting them know that you received their donation or matching gift. This is also a great opportunity to remind donors about matching gift programs if they haven’t had their donation matched yet. Thank you letter: Let donors know you appreciate their donation by sending them a note through regular mail. While it will take a little longer to get to their mailbox than an email would, the personal touch that letters or cards afford can make donors feel valued. You can also let them know about matching gift programs on a thank you letter! Use social media: When used in conjunction with one of the aforementioned methods, social media can be a great way to spotlight donors who used matching gifts to make their donations go further. When donors visit your website, they’re either looking for more information about your organization or they want to make an online donation. Either way, you can incorporate specifics about matching gifts on your website to ensure that donors are fully informed. In the online donation process. On a confirmation page after the donation process is complete. Nearly everyone has at least one social media account. Use this large audience to your advantage and get the word out about matching gift programs. Facebook is still the social media giant, and it can be a great way for your nonprofit to let donors know about matching gift programs. Make sure that you’re keeping the message short and sweet and that you’re providing followers with links to more information. Use pictures and graphics to capture donors’ attentions. If your organization has a substantial following on another social media site, use it to your advantage! Twitter: Keep your posts even more succinct than you would on Facebook. 140 characters may seem limiting, but it can help you get straight to the point. Be sure to include links to more information! Pinterest: Create a “Matching Gifts” board and pin interesting information about matching gift programs for your followers to like and repin. Instagram: Tell your nonprofit’s story! Let donors know how they can help you accomplish your mission and encourage them to look into matching gift programs in the description of your photos. When used consistently, social media can be an indispensable way to let donors know about matching gifts. If your nonprofit hosts fundraising events like walks or runs, galas, or even phonathons, you can emphasize matching gift programs during these events. If you have a captive audience at an event, consider taking a few minutes to let them know about matching gifts. You don’t want to lose all of the valuable information that you collected during the donation and matching gift process. Storing donation details as well as matching gift information can be useful for when you reach out to donors for another donation. One pro tip is to use a customer relationship management service (CRM) to keep track of all of your donors’ information, including matching gifts submitted and received. Remember those goals you made back at tip one? Once some time has gone by, take a look at your goals and see if you’ve met them. If you have, great! You developed an effective strategy that helped you receive more matching gifts. If you haven’t, then re-evaluate the past few months. Were your goals unrealistic? Did you implement ineffective strategies? Whatever the case, use this information going forward to make the most of matching gift programs. By using these tips in conjunction with one another, you’ll be able to achieve matching gift success, resulting in more money for your nonprofit and better relationships with donors and the companies they work for. Thank you for linking to my Instagram article! Wasn't that great of Andy? Definitely Julia 🙂 When it comes to social media and nonprofits you always have such great content! !